As far as I know, Kanye West and Kim Kardashian are not San Francisco Giants fans, nor do they have any meaningful ties to AT&T or the city of San Francisco. 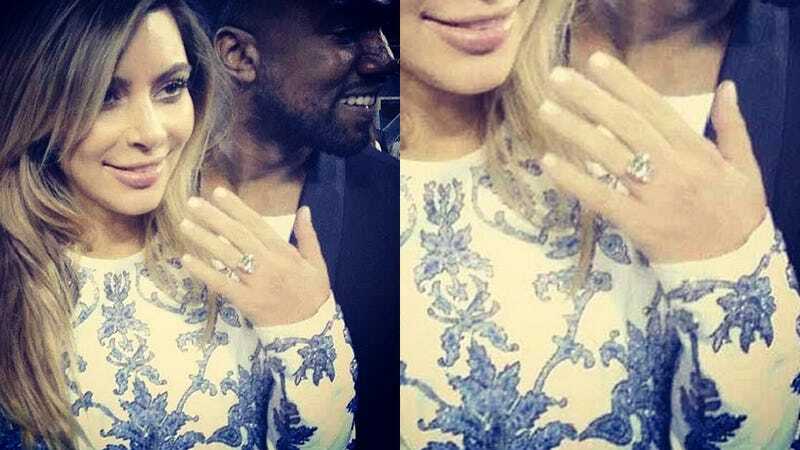 And yet, Kanye decided to rent out the Giants' stadium in order to propose to Kim. A live orchestra was involved, and the jumbotron read "PLEEEASE MARRY MEEE!!!" Kanye West just does whatever the hell he wants. Looks like a great time was had by all. Kim said yes, by the way.